1 Arrange the jointed boards together to get the most pleasing match of the different grain patterns. 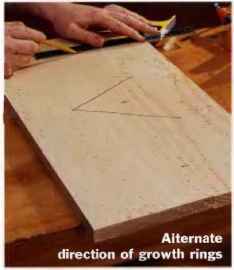 This can take some triai and error, lip: alternate the direction of the growth rings at the ends of the boards. This heips keep the panei from cupping. Once you've got aii the boards arranged to your satisfaction, draw a "V" across aii joints In the panei. 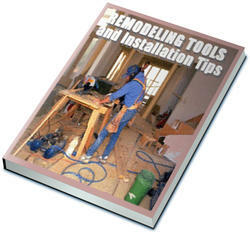 Use the legs of the "V to maintain your alignment as you glue-up the panel. 2 Once the boards are iaid out and marked, place them in position and mark the biscuit iocations. 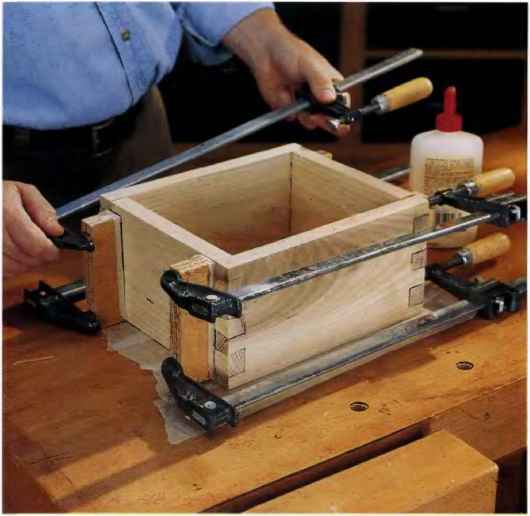 Use a square to mark aii mating edges to ensure that the siots aiign. Biscuits shouid be spaced about 8 to 10 in. apart, with a biscuit about 2 in. in from each end. After marking biscuit iocations, cut the siots by aligning your marks with the permanent mark on the biscuit joiner. 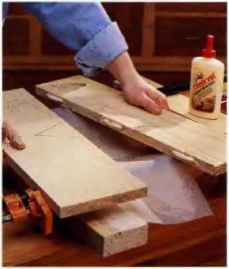 3 Apply glue to one edge of each board to be joined, then squeeze giue into the siots. Commercial giue applicators that reach into the siots are avaiiabie, or you can simpiy squeeze the giue in with a regular giue bottie and spread the giue with a popsicie stick. Add the biscuits to the siots on one board. 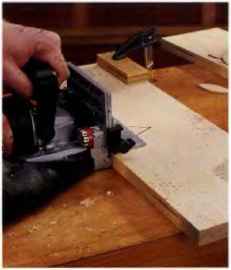 If edge-gluing more than one board at a time, appiy the giue and insert the biscuits in every board. Now you're ready to ciamp the assembiy.